Productivity is the key to a successful workplace. 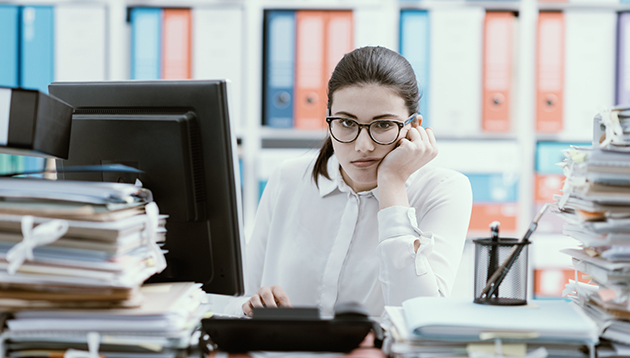 A recent study revealed that 86% of employees reported they lost time each day on work-specific tasks that were unrelated to their core job. Almost half (45%) of full-time employees confessed they should take less than five hours each day to do their job if they were not interrupted by these tasks. Meanwhile, 40% expressed they spent an hour-plus every day on administrative work that added little value to the company. The top five time-wasters among full-time workers were fixing a problem caused by others (22%), handling administrative work (17%), attending meetings (12%), responding to emails (11%) and tackling customer issues (11%). Workers from different generations viewed these time-suckers differently. Baby Boomers (born between 1946 and 1964) spent the most time cleaning up others’ problems (26%) which Gen Z (born between mid 1990s and mid 00s) spent the least time on (18%). Gen Z, however, spent the most time handling workplace conflict (9%). Both Gen X (born from the mid 1960s to the early 1980s) and Gen Y (born between the early 1980s to the 00s) agreed meetings (13%) were the ultimate time waster, followed by time on communication channels – phones for Gen Z (10%) and social media (10%) for Millennials. The study was conducted by workforce management provider Kronos Incorporated on 3,000 employees across eight countries.